One of the last folk performances. "It's no battle to get up there and sing whatever's in your head, but it's a whole other scene to lay your heart on people. The point of my music is to pull people back to this heart thing." The cardboard sleeved release features a 12 page booklet with sleevenotes by Colin Harper. 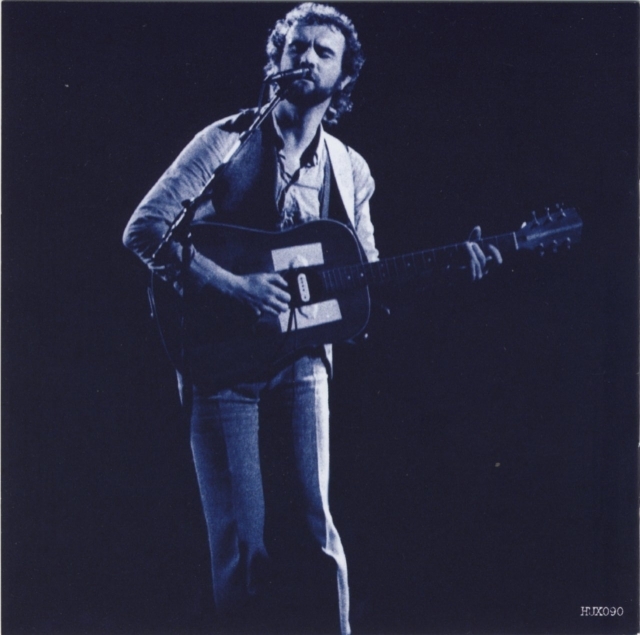 For John Martyn, 1973, when this concert was recorded, was a year of serious transition, both musically and in terms of moving once and for all away from the folk club scene and into the college and concert circuit. 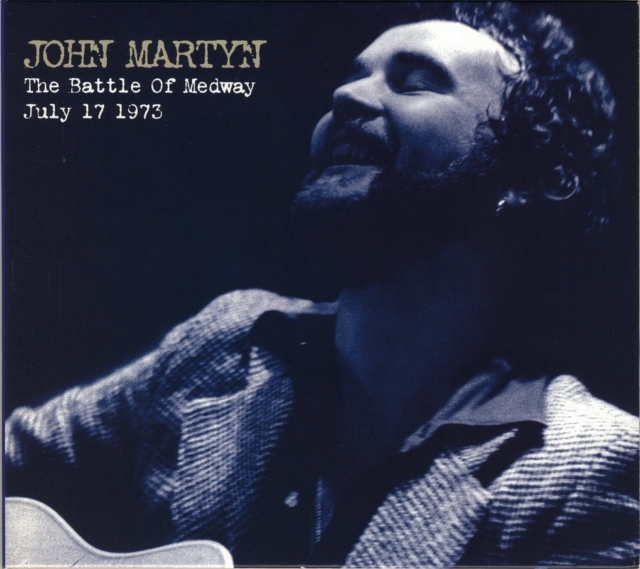 'The Battle Of Medway', released with the full approval of John Martyn, captures him in blistering form, on one of his last ever solo acoustic folk club gigs. Famed for the late-night cool of his '70s studio albums and the explosive live shows of the same era, John Martyn forged a unique path through the accepted forms of folk, jazz and rock, bringing electric power into the folk clubs and soulful balladry into the colleges. While Live At Leeds, recorded in 1975, has long defined the man’s sound during his breakthrough years on the college circuit, little has survived of his path-finding years in the folk clubs - until now. Recorded in July 1973, in ambient stereo by club organiser Geoff Harden at Medway, Kent, in between the releases of Solid Air and Inside Out, this is the sound of John Martyn - on one of his determinedly last ever folk club gigs - frightening the living daylights out of anyone who came there expecting 'The Wild Rover'. Tracks 1-9 recorded in stereo on reel-to-reel at Medway Folk Centre at The Old Ash Tree in Medway, Kent, July 17th 1973. The recording was unknown but probably surfaced after Geoff Harden died 4 September 2006. The sound quality is not impressive but this is a reel to reel tape from 1973. I reckon the sound is about as smoky as the air in the club must have been. 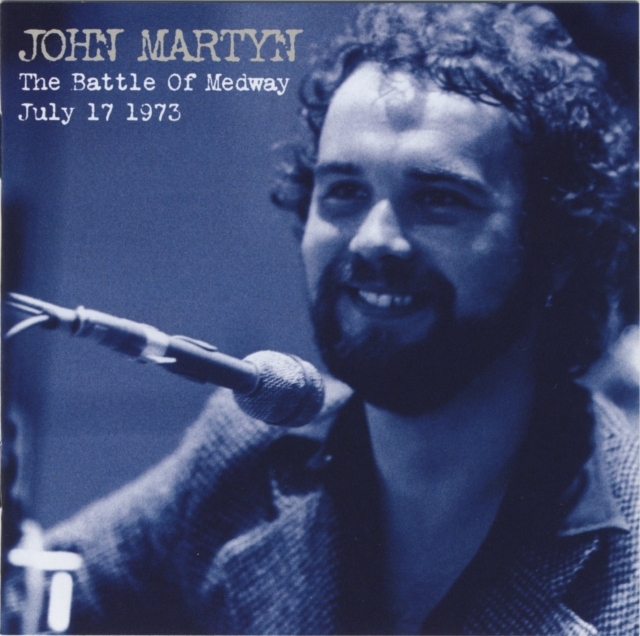 .. a 'new' set of John Martyn unearthings entitled The Battle Of Medway: July 17 1973, on Hux. The Martyn album -released with the man's full approval- is particularly noteworthy in being the first commercial release from the late Geoff Harden's remarkable archive of folk club recordings which were bequeathed to me last year. Aside from Geoff's recordings of folk club gigs spanning 1963-89, he also taped an assiduous amount of radio, including a tranche of late '60s sessions from all sorts of artists for John Peel's legendary BBC Radio 1 shows Top Gear and Nightride, and material from other stations. The John Martyn CD draws from both wells in featuring the live gig in blistering stereo together with four bonus tracks in atmospheric mono from a European radio session in 1968 which almost certainly don't exist in any other form. As for the bonus tracks, Colin is referring to the original track listing where tracks 10-13 were claimed to have been "recorded off-air in mono from an unknown Dutch radio station in late 1968". There is no Dutchman with any recollection of such a broadcast in this period, so the general opinion is that these were the four John Peel's Night Ride tracks that have been circulating for several years. Hux Records says they left out these tracks (Fly On Home, Different From The Book, Dusty and Hello Train) for licensing reasons. 01 Outside In 9:25 Nice dirty sound. 07 Seven Black Roses 3:56 Intro gives the inspirational chords away. 08 Sugar Cube 3:04 Not many versions of this one around. 09 I'd Rather Be The Devil 9:37 See track 1. Released by arrangement with John Martyn. Hux thanks: John Martyn, Theresa Martyn, Colin Harper, Bridget St John, Geoff Wall, Cormac O'Kane, John Hillarby, Elanzo Burgess. Tracks 1-9 licensed from the Geoff Harden archive. Both quotes on the inner sleeve were pulled from the interview John had with Ian MacDonald from New Musical Express: 'The Stormbringer Comes into the Sun', published 21st July, 1973.